Home / Blog / Inexpensive Cameras by WyzeCam are taking home security by storm! 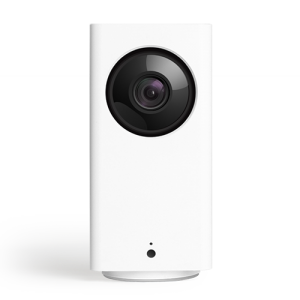 A fairly new startup (WyzeCam) is producing amazing WiFi 1080P cameras for a fraction of the cost of its competitors. DTS has started seeing a big uptick in requests to install these bad boys! We have been using WyzeCams for a couple of months and we can see why there is so much hype! Left: WyzeCam Pan: A full 1080p PTZ (Pan, Tilt, Zoom) camera all in a compact form factor for only $30! Right: WyzeCam v2: A very compact 1080p fixed camera that you can place almost anywhere for only $20! The WiFi camera market is a big one and with all of the competition out there its tough to stand out of the pack, however, WyzeCam has done this by selling extremely powerful WiFi cameras for significantly less cash! Both models of the WyzeCam are 1080p and have many cool features. They can be set to detect motion, sound, and even detect smoke/CO2 detector alarms if they go off in range of the cameras mic! You can turn on or off motion, sound, and alarm detection on demand and the Wyze firmeware gives you the ability to set sensitivity levels of both motion and sound from 1 to 100 which gives you great control over alerts! Sound and motion alerts are delivered by PUSH notifications to your phone a clip is recorded to the cloud for your review at anytime for FREE! Unlimited cloud recordings are kept for 14 days so you can review any triggered video captured anytime! If you want to record continuously then simply slap a microSD card into the camera and you can review days of prior video at a slide of your finger! We have used both 32GB and 64GB cards in these cameras with no problems. You can pop onto your WyzeCams from your mobile device anytime to view live video and hear live audio. You can also talk through the camera using your mobile device and the cameras built in speaker. We have actually used it as a remote speakerphone between my mobile device and someone at home. Nighttime recording is made possible by IR LED’s contained within the lens of the camera. Night vision quality is quite good out to about 30 feet. One of the things that can be tricky is setting your motion and sound sensitivity settings to meet your needs. The ability to set a range from 1 to 100 is great, but depending on what you want to detect (or not detect) this setting can be tricky and will require experimentation. All in all for the price, you just cannot beat these cameras! These cameras are for indoor use, however, you can purchase waterproof mounts from various vendors on Amazon for around $15 bucks! We have tested a couple different waterproof mounts and they seem to work perfectly for those who want to use Wyze outdoors. 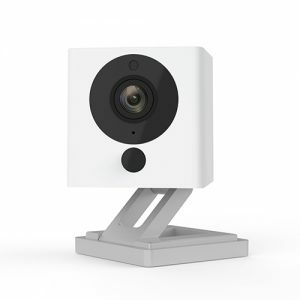 These cameras walk you through the setup of downloading the Wyze app on your device, connecting it to your WIFI, and the mobile apps let you adjust everything from there. For those that would like help setting up the ultimate inexpensive WyzeCam solution, DTS has several hours of hands on experience installing them for indoor and outdoor applications and we highly recommend them as an inexpensive way to monitor your home or business. Although these cameras are not perfect, they are so compact and inexpensive that they easily earn 5 out of 5 stars from our DTS team!